If you’ve eaten in a restaurant in the United States recently, you’ve likely seen nutritional information displayed on menu boards and within menus. This is a common site these days in the States – though not so in Canada. Most would not argue that seeing those nutrition numbers might alter our food choices. If faced with the nutritional reality of your Tim Horton’s chocolate chip muffin (a whopping 410 calories, 15 grams of fat, 430 milligrams of sodium, by the way) you may be less likely to order it. However, some have argued that this type of nutrition communication isn’t likely to change our behaviour. The headline from a 2011 Globe and Mail article was entitled “Is knowing a Big Mac is 540 calories really going to stop you from eating it?“. The article quotes a recent study from the American Journal of Clinical Nutrition, which looked at whether posting nutritional information in a university cafeteria helped students eat more healthfully (it didn’t). However, we should note that there were only about 200 students enrolled in the study, most of whom were female and, the food choices offered may have been a factor, but still this study showed simply giving the nutrition breakdown may not be enough to change food choices. This is only one study – more are needed before we can decide if providing caloric and other nutrition info will influence people’s restaurant food choices. It’s probably only a matter of time before more of these studies are done since food, nutrition and changing behaviour are constantly being researched. David Kessler, author of “The End of Overeating” and former commissioner of the U.S. Food and Drug Administration (FDA), believes listing nutritional information, like calories, on menus is important to get the message across of what is in our food. 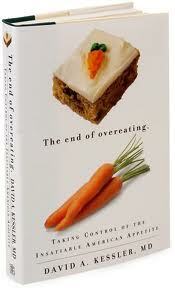 His book is fascinating, talking about how we, as consumers, are targets to the food industry. With the addition of sugar, fat and salt to many foods, it’s no wonder we have a hard time saying no. It’s too simplistic to blame restaurants, food manufacturers and food advertisers for all of our eating problems but they’re certainly contributing to them. Let’s get back to the idea of offering more nutritional information on menus by first looking at the nutrition fact tables on packaged foods. In a very informal survey of cardiac patients I work with, most indicate that they regularly read food labels. However, when I ask if they understand and can interpret this information, fewer hands go up. Bottom line: it’s confusing. So, if offered the number of calories, fat, saturated fat, sodium, etc on your sub sandwich or pasta dish in a restaurant, would you be able to make sense of it without a dietitian sitting next to you? Maybe. Maybe not. I know that nutrition is a perennially hot topic and so many friends and patients are knowledgeable about this type of information. It’s fair to say that most people know that if you’re ordering a burger at a fast food joint, it’s not low fat. Fast food restaurants in Canada are, however, feeling the push to adopt some transparency as it relates to nutritional information. Posting calories online or in a booklet is one thing but how clear the information is conveyed is another. Simply displaying calories and fat grams may not be effective enough to inform consumers. Communicating healthier alternatives may offer a clearer message. Some countries (like Australia and the U.K.) have even adopted a traffic light system where the colours help identify which food choices are less healthy choices/treats (red), moderate choices (yellow) or healthy options (green). I for one am curious to see where this debate goes – nutrition facts and alternative choices coupled with colours and numbers seem to be a real possibility when it comes to helping confused consumers. What do you think would work best? Nutrition facts on menus and traffic light labelling systems are just a few of the new systems in place to try and help us make healthier food choices. But how about the Health Check symbols, Kraft’s Sensible Solutions, Loblaw’s Blue Menu and other third party symbols? Do they really tell us which choices are healthier than others? Or are they not as helpful as they seem? Next time, we’ll look into these different labelling systems to see which ones help, and which ones hinder, healthy food choices. 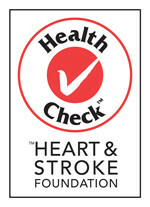 First up: The Heart and Stroke Foundation’s Health Check symbol, what exactly does it tell us? Previous Previous post: March Myth Buster – Poisonous Onions?